This book contains twenty-five Discourses by the Beloved Great Divine Director given through the Messsenger, Guy W. Ballard (now the Ascended Master Godfre), during the years 1937 through 1939 in various cities throughout America. He is the Great Cosmic Being who is the Authority of the Cosmic Law to this earth, which means the Law and Activity of Life and Light in this world in regard to holding the balance of constructive activities, for the whole system of planets to which this earth belongs. He is called the Great Divine Director because for more than two hundred thousand years He has been directing Cosmic Light Rays to keep mankind from destroying itself and Nature's blessings to this Earth completely. 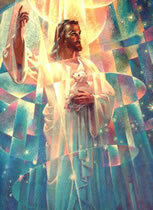 The Great Divine Director was Saint Germain's Master and together with Jesus, assisted Him into the Ascension. Everyone who seeks the Ascension must stand before this Great Presence. 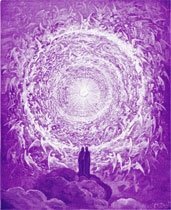 "All of the books of the Saint Germain Series teach the Ascended Masters' Explanation of the Laws of Life and the Use of the Great Creative Words 'I AM'."